One of Bauer’s design agencies has offered an insight into the future of the Hits Radio brand after writing about its recent work on its website. Thinkfarm, which works with Bauer designing and promoting some of its radio stations, created the brand identity and marketing campaign for Hits Radio. It appears to confirm that Hits Radio will replace regional brands to create one national station. 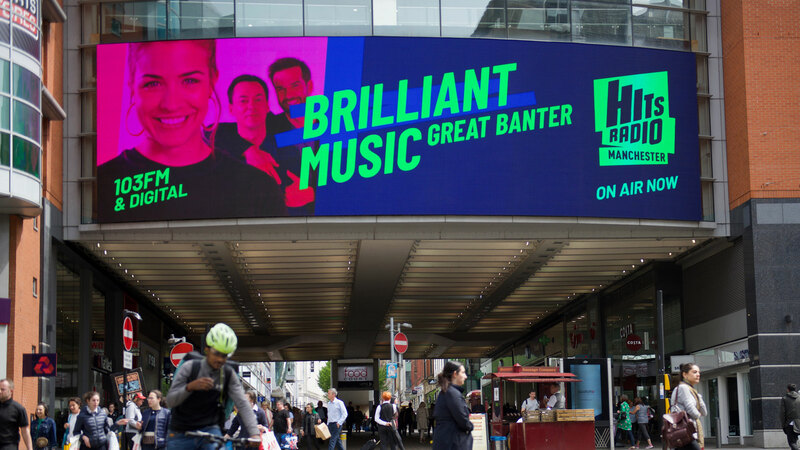 Bauer launched the Hits Radio brand in Manchester last year but at the time said there were no current plans to rebrand any other of the 19 stations in the “Hits Radio Network” – which includes Hallam, Metro, Free, Clyde, Rock FM, and Radio City. Radio stations in the network recently introduced a top of hour ID saying they are part of the Hits Radio Network. Thinkfarm boasts: “Our clients choose to work with us because we are experienced creative thinkers, marketing strategists, producers, designers and media experts”. The link to this website was shared on social media on Thursday morning but it appears the page has been active for some time. So whilst this appears to ‘leak’ Bauer’s plans for a national roll-out of Hits Radio on FM, we understand there are no imminent plans for any such announcements. The industry can see a long-term plan for Hits Radio but we predict any announcements might have been put on hold pending Bauer’s Hold Separate situation with its new stations. Thinkfarm needs sacking. Terrible branding. So weak. NO agency publishes case studies or news about clients brands without sign off o or if they do they its poor client management. On the other hand it reveals a strategy to the greater world without Bauer “Actually” having said it – so it starts to soften up the industry and world for the news. Many “Industry” (not radio specifically but company news / plans etc) stories are often “leaked” to SKY and BBC reporters to pre-soften the release of news. I’m not a fan of Global but thier Brand work is on another level to the Bauer creative. This is going to be a tough battle when it gets going. I think Bauer need to up thier game on this. My take on this is that Bauer were probably waiting until their recent acquisitions were cleared before committing to a statement on the future of these stations. Whether it was ‘leaked’ or not is up for question but this ‘leaked announcement’ doesn’t surprise me in the least. Mind you, I’m seriously thinking of changing my ‘handle’ to THE LAST DJ! This “news” doesn’t surprise in teh slightest. UK commercial radio is in a heck of a state. I predict the Bauer owned stations like Eagle Radio, the Breeze, Pirate FM et all will all turn into Hits Radio as soon as the hold position is relaxed. Watch this space I guess. The Breeze stations in and next to Bristol could become Greatest Hits Radio, as that region has Kiss. Why rebrand to Hits Radio when it’s tanking? Bauer should perhaps try the Wave 105 treatment on Radio Aire, Hallam FM, Viking FM and Metro-Radio/TFM – it would do pretty well. After all, Wave 105 gets good listening figures. Rock FM could go for a hybrid Absolute/Hits playlist and have the Matt Berry voiceover. How would this be against Capital Lancashire for a USP – a mix of Radio X, Capital and Heart in one station! Hits Radio Manchester could move into Wigan with Wish/Wire/Tower and share playlist and replace Gethin/Gemma/Dave by networking Chris Milow in the Morning on 102.4 and 103.0 FM, leaving Mike Toolan on 10am-2pm and Wes Butters 2pm-7pm, with local late show with Jennie 10pm-1am. (Sarah-Jane Crawford could be replaced for Total Access with Olivia). That leaves Castle Quay for the new 103 FM station (maybe KEY Radio) to have local mid-mornings, drive and late show while running Greatest Hits Radio from it. Magic 105.4 in London – rebranded as Viking FM 105.4 and breakfast from Kingston-upon-Hull, with local mid-mornings, drive, evenings and late show for London. Harriet & Ronan replaced with Alex Duffy & Ellie on breakfast. KISS 100 in London – no change. How would this go down? Mix 96 – Hybrid of Absolute, Heart & Capital for Buckinghamshire with programming from Absolute Radio in London 7pm-6am and weekends to replace voicetracked evenings. 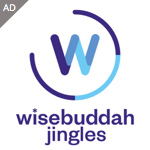 Local weekend shows as now, 8am-6pm, but networking 6pm-6am (although this could take the Chart Show 4-7pm with Olivia Jones from Signal in Stoke-on-Trent(. Spirit FM – Moved into the same network as Signal 1/Signal 107, Wish/Wire/Tower, Pulse1, The Wave 96.4, Wave 96.5, to replace automation 7pm-6am. Yorkshire Coast Radio – Retains the name but has a playlist that’s a hybrid of UKRD and Absolute Radio. Networked from 7pm-6am with Absolute in Golden Square. Think Ariana Grande/Little Mix with some classic rock thrown in. Pirate FM – Remains mostly the same, but networking from Stoke-on-Trent to replace local evenings/late show and automated overnights. I read somewhere that Bauer now have 74 brands, Global have 8. There’s a message in there somewhere about why Global are more successful. The advertising agencies in London probably don’t have a clue about what most of these stations do, so how can they sell them to their clients? In 2019 you need strong national brands. That doesn’t mean that everything has to be networked, it can still deliver good local radio. UKRD didn’t need national brands, people like Stoneacre and local car dealers were the main advertisers. I knew a guy in Dewsbury who wanted to advertise on Pulse once. UKRD got by without national brands, so does Nation Radio. This is a comment that is so ill informed and trotted out endlessly in the “Excuse” for Brand consolidation. There may be many good reasons to do it but to help “agencies understand” is not one of them. Where do you think most of the people working in these agencies come from? They are from all over the UK, they work in media buying and consumption of COURSE. when i was buying media from agencies they all knew Who Clyde, Kiss, Radio City were – Because many of them came from these locations and know about the market and players. Para 2 i agree with top paragraph is a lazy assumption. WTF have you been smoking? Magic 105.4 into Viking? No way. Furthermore, Absolute Radio is a NATIONAL station with a NATIONAL concession like Classic and Talksport, so I don’t see why it’d need local programming. Absolute is a stronger brand than Hits though! Magic 105.4 into Viking… could work though. Not sure what London would make of having 3 hour local drive and everything else networked from Hull, though. Welkar I see can Bauer giving you an answer with 2 letters in it. BTW, it’s after the letter ‘M’. Vikings AM service was called Magic until a few years ago. They even tried to network the Magic service from London with local opt-out programmes – totally tanked – so they had to revert it back to the gold/easy listening format it previously had and operated as a separate North of England networked service instead. I think Bauer could close the Scarborough and Harrogate Studios and have the York as the main Studio for local programming! And network the rest out of London or Manchester. It is kind of ironic that a supplier to Bauer has shared their plans before Bauer! This must be very upsetting to staff at Bauer who have found out via the media that they will be using their jobs . Will the Radio City tower become the Hits Radio Tower?? No, the new sign will read “To Let”.